Esther Johnson teaches in the kindergarten class at Lutheran South Unity School. When the Indiana Supreme Court upheld the voucher program in a legal challenge two years ago, it ruled that the program did not violate the state constitution because "a general and uniform system of Common schools" remained in place. Today, with voucher enrollment growing dramatically, it’s worth considering how long the public school system can remain in place. At the same time lawmakers are preparing to shift dollars from public schools serving students from poverty to wealthier school districts, they also are preparing to steer millions more to private schools. An Indiana Department of Education report released this week shows a nearly 50 percent increase in voucher participation this year. The total cost increased from $78.9 million in 2013-14 to $116 million this year. Increased participation wiped out the so-called savings voucher supporters promised would come from educating students at voucher rates less than the per-pupil tuition payments at some public schools. The argument that voucher schools would serve children from poverty trapped in "failing" schools isn’t holding up, either. In Allen County, millions are flowing to struggling private schools. The former Imagine charter schools, converted to Horizon Christian schools after Ball State University declined to renew their charters, combined with the original Horizon school, received more than $2.1 million in voucher payments this year. They earned grades of C, D and F last year. Cornerstone College Prep School increased enrollment this year in spite of its F performance. It has collected nearly $2â million in state funds since the voucher program began in 2011. 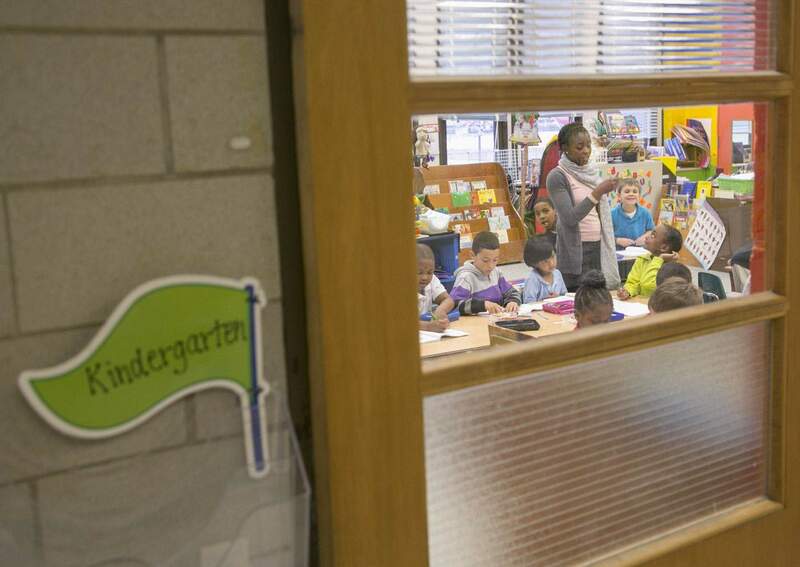 Although some Fort Wayne voucher schools are almost entirely minority enrollment, voucher recipients overall are increasingly white and middle-class. Sixty-one percent of voucher students are non-Hispanic white. African-American and Hispanic students now make up just 31 percent of voucher recipients; down from 44 percent the first year. Nearly a third of the families collecting vouchers were at the highest level of income eligibility, up from a quarter a year ago. Vouchers are used overwhelmingly at religious schools. A separate study by the Center for Evaluation and Education Policy at Indiana University-Bloomington found that 55 percent went to Catholic schools and 11 percent to Lutheran schools, although one of the largest distributions this year – $1.03 million – is to MTI School of Knowledge, the Islamic School of Indianapolis. With less-stringent participation requirements approved by the legislature in 2013, more than 10,000 students were added to the voucher program this year. Nearly 8,400 of those students never attended a public school. Edward Eiler, who retired as superintendent of Lafayette Community Schools in 2012, was a plaintiff in the voucher lawsuit. He said Wednesday that Indiana’s schools are evolving very quickly into a "multi-tiered" system where one system will prevail. Eiler, who now advises school districts on financial challenges and other issues, compared it to a basketball tournament, where one team emerges as the winner. "If you make education a commodity – which is what privatization is doing – it’s like any other goods and services," Eiler said. "If you are poor, how much of the commodity can you afford?" Gov. Mike Pence and Indiana House leaders want to remove the $4,800 cap on voucher payments to students in grades 1-8, a move that will further raise the overall cost. As lawmakers boast of efforts to spend more on traditional public schools, don’t overlook their quiet efforts to steer even more to vouchers. The cost of operating parallel school systems is growing, and the "general and uniform system of Common Schools, wherein tuition shall be without charge, and equally open to all" looks more and more like the loser.